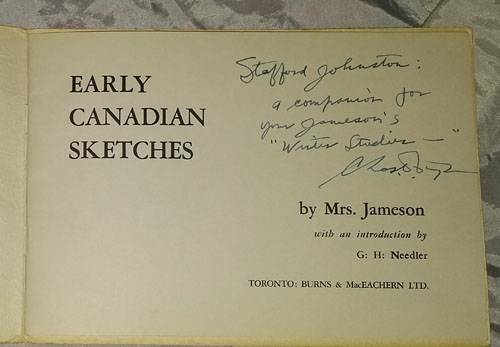 EARLY CANADIAN SKETCHES by Mrs. (Anna) Jameson (1794-1860), 1ST EDITION, Booklet, NINE TIPPED IN PLATES (Black & White), soft cover with Leatherette like etched decoration, 22 pgs., Burns & MacEachern Ltd., Toronto, 1958, 8 1/4" x 5.9", with pen inscription on title page. It comes with an Introduction by G.H. Needler. The plates of art include, 'Portrait of Mrs. Jameson at about the age of 40, by H.P. Briggs, R.A.; View of the Toronto shore-line, 1837; The entrance to Toronto harbour, 1837; The road from Toronto to Niagara; Forest Road; Campbell's Inn, near Chatham; Indian huts on Mackinaw Island; Chippewa lodge at the Sault; Canoe trip through Georgian Bay, 1837. Low definition images, & 'watermark' are only online to protect the purchaser. 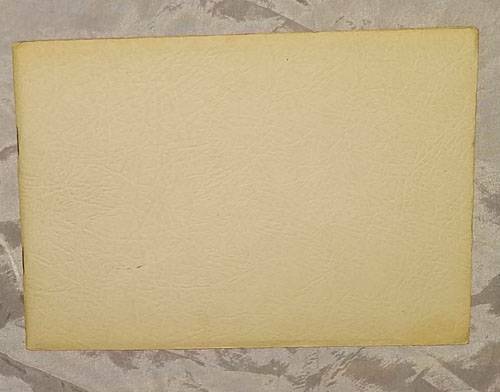 See my other Antiques, Canadiana, Art, & Collectibles on Craigslist. 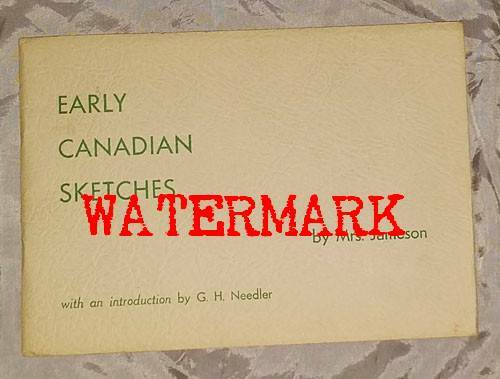 Cut & paste, or type in the sentence, "See my other Antiques, Canadiana, & Collectibles" into the "search craigslist" box.